According to a post on its Facebook fan page, the popular CN-IC Santa Train will not be operating this year. The train, which begins its journey in Gibson City, has run for 48 years and is a Christmas tradition for many families. There is no cost and no tickets are required, making it an accessible and highly enjoyable event. But operators of the Facebook page, which is conducted by volunteers who serve on the train, said the Canadian National Railroad train will not be in operation. 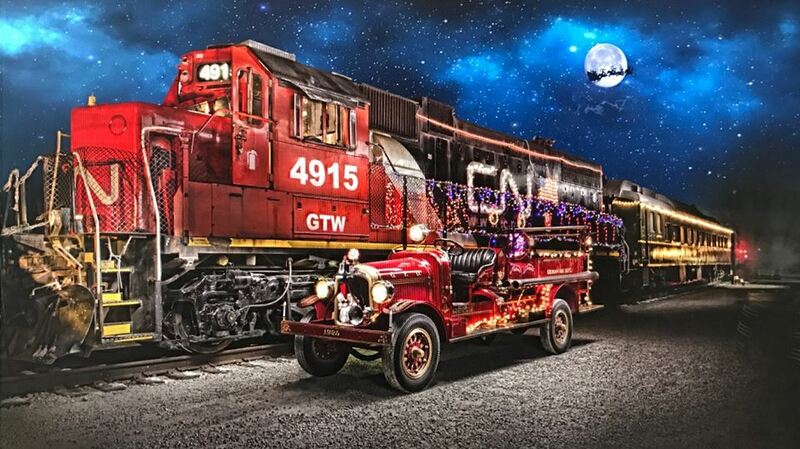 The Santa Train, via Kathryn Northcott of Portrait Place Studio. For decades Santa has ridden the train from Gibson City to areas north, stopping at towns along the way. Santa visited with his fans at each stop and handed out gift bags and railroad accoutrements. Meanwhile, visitors were able to explore the vintage train cars.